On June 2, 2018, our dear friend, Tim Klein, passed away in a climbing accident in Yosemite. Tim was an amazing man of God, husband, father, teacher, friend and climber. One week prior to this tragedy, Tim was selected as Antelope Valley High School District's Teacher of the Year. He earned this not only because of his hard work, but because of his heart for students. He purposed himself to train his students to "turn your passion into a paycheck," and many who took the advice credit him with the reason they are now in their current professions. He did all this while coaching special needs soccer with one of his sons, maintaining grant funding for his school, breaking a Guinness Record to raise money for a critically injured student, and caring for his family. His life impacted thousands of friends, families, and students. Now it's our chance to follow his example . . . In honor of Tim, we're asking friends, family and good samaritans to help his family. 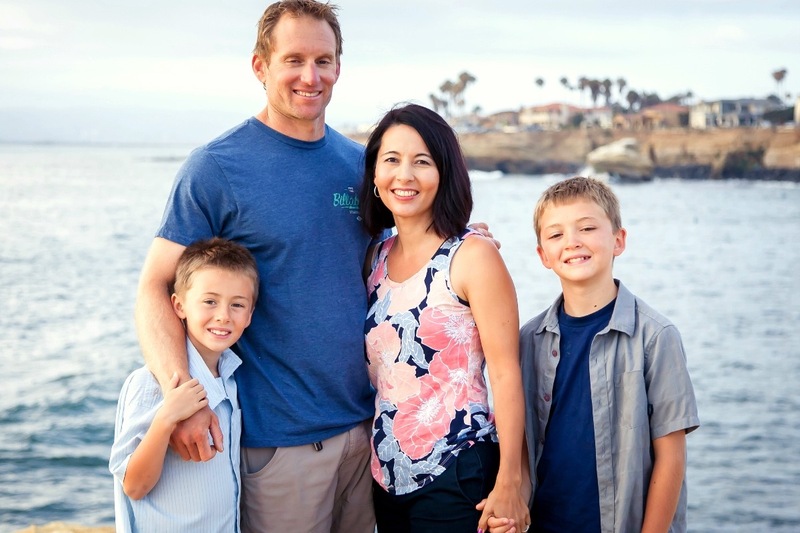 Tim was the primary provider for his wife JJ and his boys Levi and Jack. Losing a father is something we can't change for them, but being able to take away some of their financial stress would be one way to honor Tim's legacy. Our desire is to use these funds to not only help with funeral costs, but provide for Tim's family for health insurance, mortgage payments, and other unforeseen living expenses. We also hope to pave the way for the boys' educational needs both today and in the future as this was something on both Tim and JJ's hearts. Wow--seriously WOW! It is so humbling to see so many people, both in and outside of our community, both greatly impacted and complete strangers to Tim, come alongside us and offer so much support and encouragement to us during this tragic time. Until you go through something like this, you can never truly fathom how much love is out there to lift you out of the mire and grief. Our village is strong and I have such a great sense that we are not alone in this. God is covering us with so much grace and peace, and is using our pain to draw us closer to Him and to help us impact those around us with the talents and words we've been given. Another fundraiser has been added takes place at Tim's climbing gym on this Friday, July 13th, from 10am-11pm, Top Out, in Santa Clarita. His former students are organizing it. He absolutely loved being a part of their community, it's where he broke the Guinness World Record for Keiry, and where he went to clear all the responsibilities from his head when he couldn't go to Yosemite. Because you have all journeyed together with us the last month and a half, I'm going to go Live at 5 (on Friday the 13th) with the song I wrote for Tim and played on our wedding day, entitled "The Journey of Us." If you can't make it, I'm working to have it set up for Facebook live. Keep the expectations low though folks, lol! I'm not a professional on guitar or with vocals, just wanted to surprise him, and now you, with a little something fun...I'll need to practice a bit to get through that last line without tearing up. And to update you on the funding, we are so excited to be able to put all of the money you have collectively raised, in the way of OVER 2100 shares no less, to go into accounts for the boys' educational expenses and then to our future health insurance needs. It is thrilling to know that we are able to use the generosity of all of you to help remove that stress from those other factors that I need to focus on more. I love being self-employed, but Tim's excellent insurance through the district will have a limited timeline and so these funds will help us get coverage after that. With our whole hearts, we thank you and pray that our journey will be an encouragement to you somehow, that you would see in the light of going through such excruciating circumstances, God is faithful and can be trusted with the biggest hurts of our hearts. Jesus has taught us so much in this season and we are grateful for the roles that you have played in showing us how to love others well! I can't speak enough of how touched we all are! Hello friends! We wanted to send a thank you to all of those that have helped support JJ during this time. We are closing in on $30,000 today and getting closer every day to our $50,000 goal! It's amazing to see all of the notes, prayers, and love for JJ and the boys. We also greatly appreciate all of the shares across social media of this campaign from all of you! It has been a huge help!